Learn Spanish quickly and affordably. There's no need to spend hundreds of dollars on expensive language software or online Spanish programs. 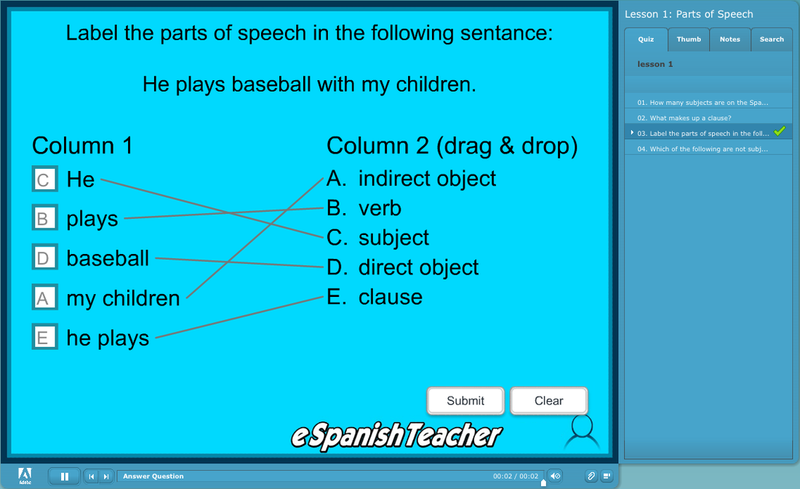 Thanks to eSpanishTeacher you can learn Spanish from home, save money, and start speaking in no time. Language lessons on your computer. 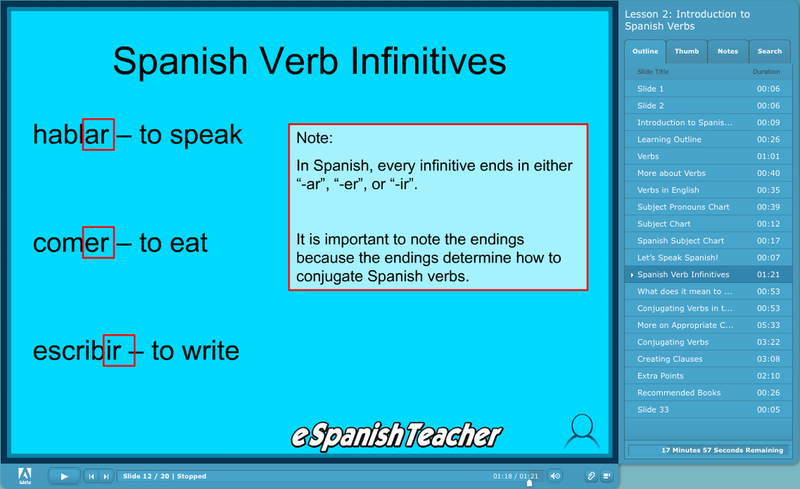 This language program offers a variety of Spanish lessons, verbal practices, and quizzes contained on an interactive CD for your computer. 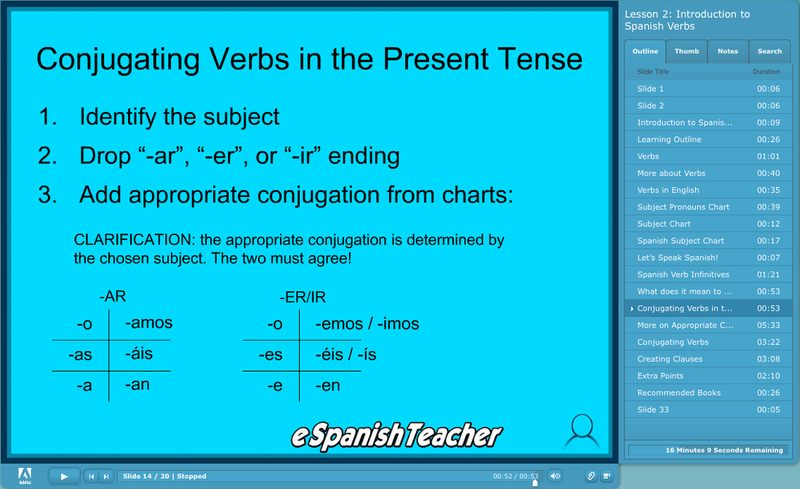 Watch, listen, and interact with eSpanishTeacher as he helps you understand the most essential language concepts. Speak Spanish in less﻿ than an hour. Following each lesson, you'll practice what you have learned by actually speaking out loud in Spanish. Move at your own pace and start speaking in minutes! Plus get 101 Spanish Verbs free! Free shipping to all 50 United States! Canada, United Kingdom, Northern Ireland, and Australia!